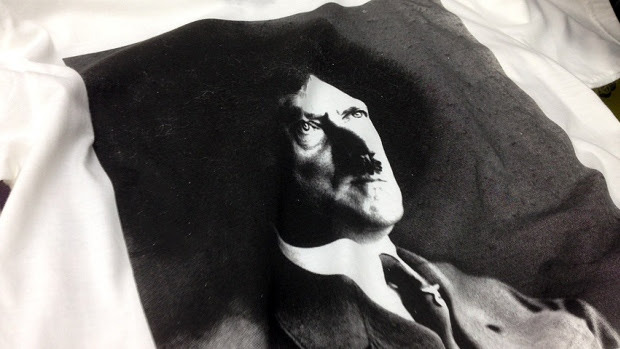 Out shopping in Montreal, Canada, at the trendy boutique, Hadio, an anonymous woman spied a t-shirt with Hitler photo shopped into wearing an afro. She was not amused. In fact, she was so upset by the offensive image, she contacted an attorney who whipped off a demand to the owner of the clothing store to remove the offensive garment from their store shelves. Interestingly enough, the store complied.